Here’s the synopsis: A middle-class couple with children was renting a home in an eastern suburb of Cleveland. The family got notice that their rental home was being foreclosed and they would have to move. 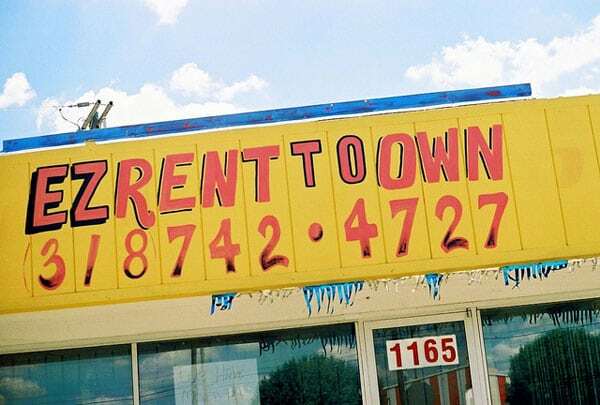 Down the street, they saw a “rent to own” sign on a nearby property. Sweet—no moving expense and available for less than half of their current rent. There was a $1250 “move-in fee” in exchange for a promise that 50 percent of the rent would go toward a down-payment. Despite the fact that the rental agreement shifted all of the landlord’s duties, including taxes and making repairs, to the renters, the Torres family signed on. Turns out that some of those duties included unpaid back taxes and 112 housing code violations. The couple ended up spending $12,000 in repairs and many weekends of sweat equity to make a place of their own. Except…they never owned the house. What they “bought” was a right to repair the landlord’s property in exchange for a chance to purchase the house sometime in the future. Rent-to-own scams are not new. Two years ago, the New York Times featured a series of stories about how bottom-feeders in the investor class were scooping up foreclosed homes, many in Ohio, and “selling” them to hapless buyers who were locked out of the American Dream by bad credit. Cities like Cincinnati and Youngstown have taken initiatives to rein in the activities of major national investment entities. But often, predatory investors still operate beneath the radar of government. Identification, regulation, and consumer education are three keys to breaking the back of the rental scam industry, but it is often not employed effectively. At first, identifying the problem seems like it should be easy. Simple strategies like a rental owners’ registry have been delayed for years. A 2006 Ohio law mandated that counties establish and maintain rental registries beginning in 2007. Last year, a decade later, Cuyahoga County announced plans to implement this state mandate. Registry is only the beginning of the answer. Scammers are more elusive than local landlords. But merging a registry of rental properties with a list of properties’ addresses or parcel numbers could identify which properties are either abandoned or scammer-owned. The data exist, just not the will to connect the dots and follow up. Regulation is the second step in preventing predatory regulation—but one has to ask, “Regulation? What regulation?” While nonprofit policy partners document the problems of abandonment, the County feeds houses into the investor-owned market by selling property tax liens to private sector brokers. When indigent homeowners can’t pay the exorbitant fees to the brokers, in addition to their overdue property taxes, these brokers foreclose on behalf of the County, and the reclaimed properties are sold to absentee investors for pennies on the dollar. How’s that for a predatory real estate prevention strategy? In a 2015 interview in Scene Magazine, Sally Martin said of tax lien sales, “There doesn’t appear to be a very robust way for them [the County] to collect, other than using tax lien sales, which result in more blight.” Since 2015, little has changed, and the message to investors is nobody is watching. Consumer education is harder and harder to find as grassroots organizations that counsel residents are squeezed for cash. The recent demise of the Cleveland Tenants Organization does not help. Last August, Seth Frotman resigned his student loan ombudsman position at the Consumer Protection Financial Bureau due to his distress at lax enforcement. Now, he has cofounded a new nonprofit to protect students from outside the government.